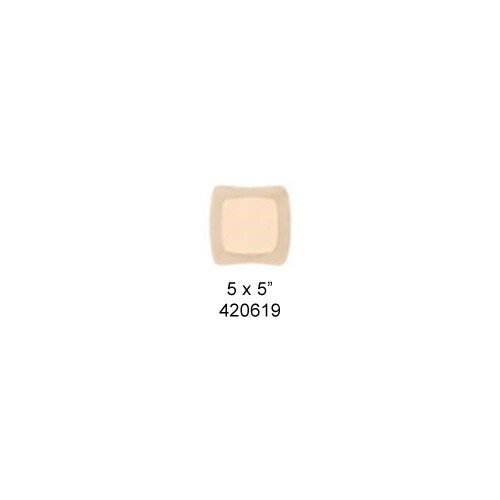 Adhesive, Square, 4 Inch x 4 Inch - SHIPS FREE! AQUACEL Foam Dressings by ConvaTec is an advanced, comfortable product that offers healing benefits with Hydrofiber® technology. The foam is ideal for management of both chronic and acute wounds, burns and any exuding wound such as leg ulcers, diabetic foot ulcers and pressure ulcers. 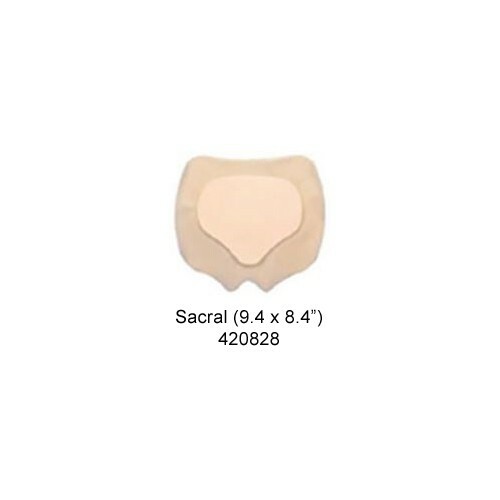 Aquacel Wound Foam Dressings can be worn for shallow wounds or as a secondary dressing on highly exuding wounds. This unique wound dressing is comprised of Four Layers- a top protective waterproof/bacteria barrier, soft foam layer, an Aquacel with Hydrofiber interface, and a gentle silicone border. 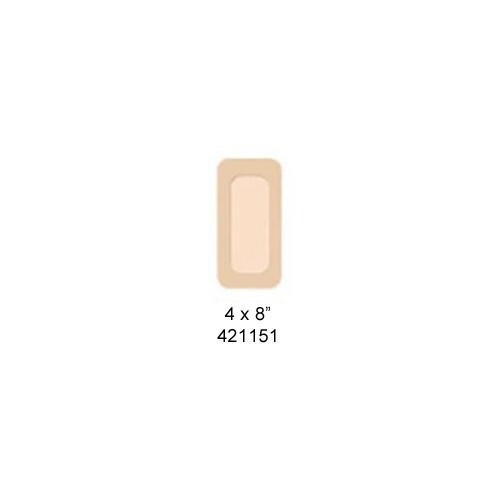 These important layers work together to maintain a moist wound environment to promote faster healing. 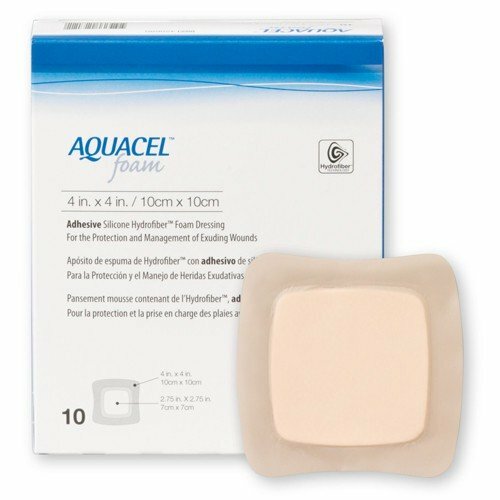 The AQUACEL Adhesive Foam Dressing's Hydrofiber dry material immediately transforms into a cohesive gel sheet on contact with wound exudate. The vertical wicking minimizes the spreading of the exudate field to keep it contained. This also reduces maceration while still maintaining the ideal moist wound environment. 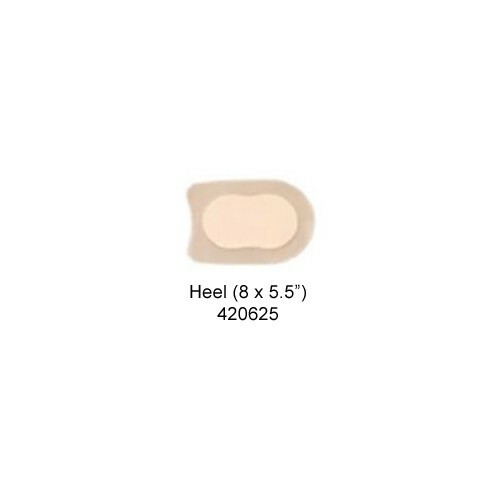 The foam construction also minimizes dead space where bacteria can grow to add the optimal wound healing environment. 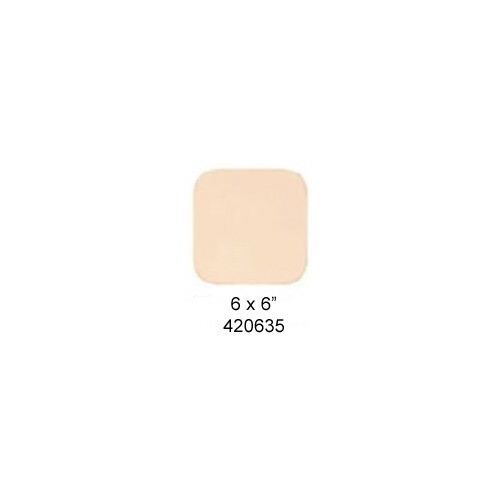 This easy-to-wear, soft absorbent foam pad naturally enhances patient comfort. It is flexible, soft and comfortable. 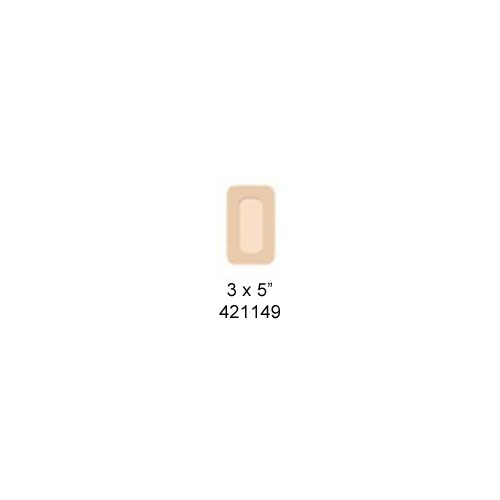 Plus, with a waterproof barrier, users don't have to replace as often and disrupt the wound environment. They can be worn up to a week making it convenient and cost-effective. 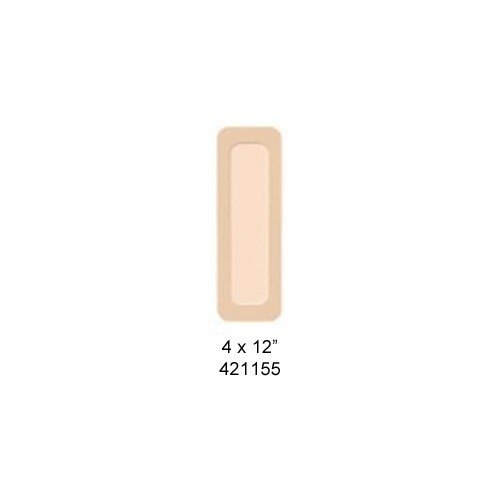 The waterproof barrier allows for a longer wear-time and will protect the wound while showering or swimming. 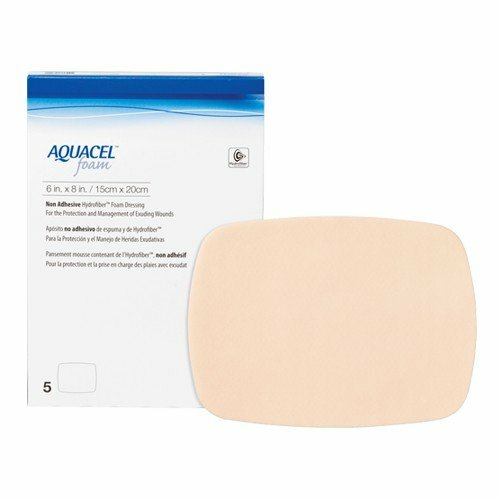 When the Aquacel Foam Dressing needs to be changed, the adhesive will easily lift and not cause further harm to skin surface. The adhesive foam option make for a fast and easy application. 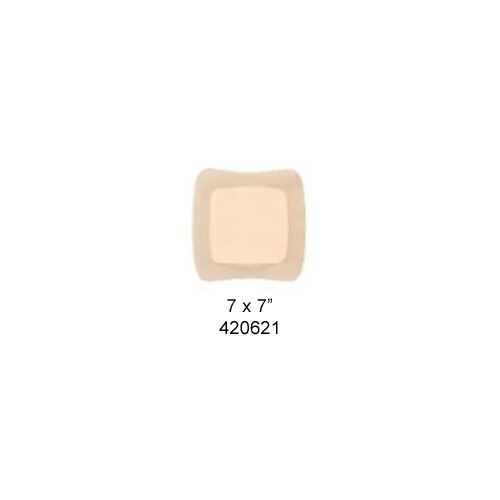 ConvaTec also carries an Aquacel Non-adhesive Foam Dressing option for patients with adhesive allergies. 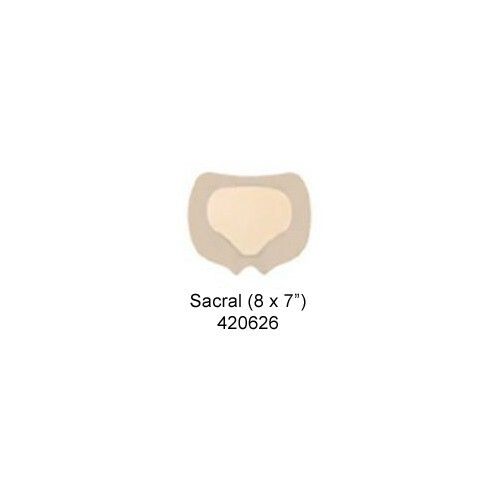 Aquacel Non-adhesive can be cut to needed shape as well. Is for single-use and worn up to seven days and should not be reused. The wound should be inspected during dressing changes for signs of infection, increased pain, bleeding and redness of surrounding tissue. In second-degree burns, consider alternate procedures if wound has not reepithelialized after 14 days. I really love the product, it's very soft and easy to wear on my nasty MOHS wound. The only reason I knocked off a star is 1) I think they are way too expensive and 2) shipping was slower then expected.